Now might be the time for this offbeat destination. Air Serbia started flights from New York last summer, the first nonstop service from the United States in 24 years. 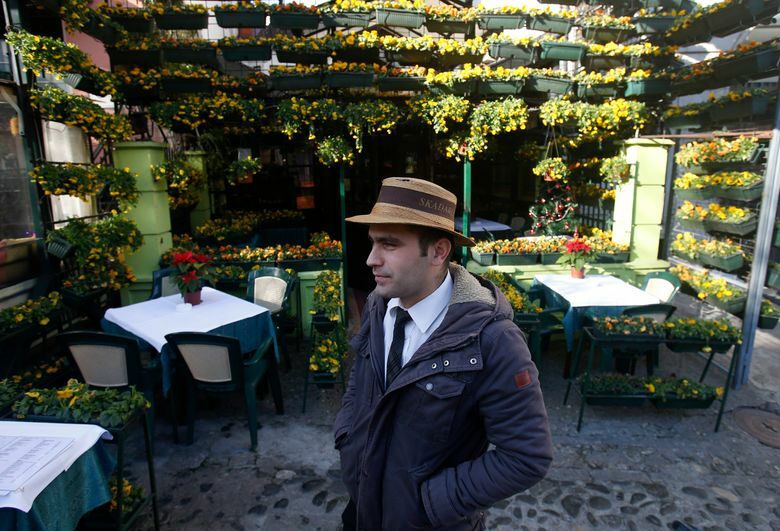 BELGRADE, Serbia — Tables with posh patrons spill out of cafes onto cobblestoned sidewalks. Roaming musicians ply their trade for tips against a backdrop of restored art nouveau buildings. Across town, the thump of techno beats keeps the young and well-heeled dancing until dawn. It’s not Barcelona or even Berlin. It’s Belgrade, baby. The city is still dirt cheap for visitors, but its chic future is arriving fast. In some ways it’s like Budapest with its ruin bars 10 years ago, or Prague in the ’90s — gritty, full of life and undiscovered by Americans — but with an added dash of style that neither of those hot spots had until they were already overrun with tourists. Now might be the time for this offbeat destination. Air Serbia started flights from New York last summer, the first nonstop service from the United States in 24 years, and construction has begun on a 10-million-square-foot development that promises to transform a brownfield right in the city’s core. Winter temperatures average in the 30s Fahrenheit, but New Year’s Eve is an exciting time to be there, with wild street parties when hundreds of thousands of tourists, mainly from neighboring Croatia, Slovenia and Bulgaria, dance at open-air concerts and attend fireworks displays. Here’s a quick guide to a city on the verge. First things first: Belgrade will never be in the running for Europe’s most beautiful city, partly because the former capital of Yugoslavia has been destroyed and rebuilt so many times in the past 2,000 years. Expect to see brutalist Soviet-era buildings and government buildings that were damaged in a 1999 NATO bombing campaign and never repaired. Despite the eyesores and neglect, elegant 19th-century architecture also exists, especially around the main pedestrian promenade, Knez Mihailova Street. What the city lacks in European charm, however, it makes up for in affordable luxury. The best massage of my life cost $25 with tip for an hour. One of my favorite meals in three months of traveling around Europe — including duck pate with a bright smear of quince paste on the plate, aperitifs and a bottle of wine — was $45 for two people. Plenty of familiar hotel brands are bargains here, but why bother when a one-bedroom Airbnb goes for $27 a night? The apartment I snagged for five days was in the trendy Skadarlija neighborhood, a centrally located bohemian hangout with an artsy vibe, galleries, smoky kafane (taverns) and traditional restaurants serving rakija, a fruit brandy of varying flavors that’s potent enough to double as paint thinner. For a leafy respite from the gray city, head to Kalemegdan Citadel, a fortress that doubles as the city’s biggest park. Ancient Celtic tribesmen laid the first stones of the foundation, and its perch atop a ridge at the confluence of the Danube and Sava rivers was so prized that it was overtaken and built upon by a succession of marauders. Much of that history is on display in the citadel’s Military Museum, which has about 3,000 items in its collection ranging from Roman swords and Serbian suits of armor to the wreckage of a U.S. stealth bomber shot down in 1999. The fortress, which is free to enter, offers a range of other activities, including archery, tennis and basketball, as well as a fairly cheesy exhibit with animatronic dinosaurs. Or do what the locals do, and grab a six-pack and sit at the edge of the ramparts for the best views in the city. For a glimpse into the life of a favorite Serbian son, check out the small but mighty Nikola Tesla Museum. English-speaking guides will demonstrate the scientist’s most well-known achievements, including the Tesla coil, which can wirelessly light fluorescent bulbs from across the room. Guides also mention lesser-known failures, such as Tesla’s plan for an industrial-sized transmitter on a former Long Island potato farm that would have beamed power to New York. Tesla electric cars were named in his honor. 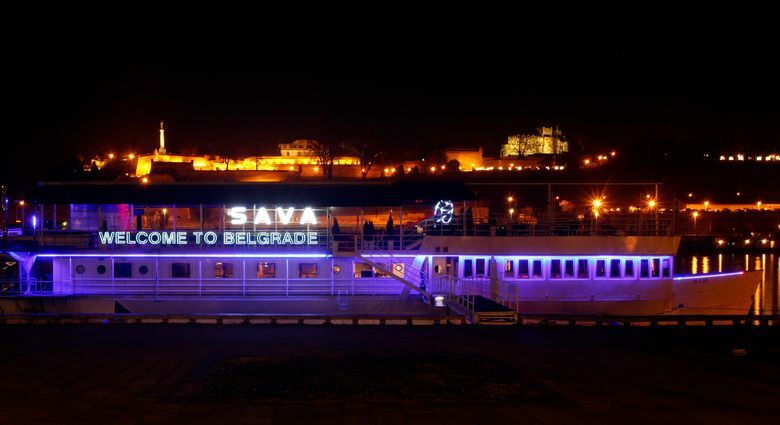 Thanks to a youthful population and reasonable prices, Belgrade has emerged as one of Europe’s prime party destinations, and the banks of the Sava are lined with floating clubs called splavovi, which means rafts. They enforce strict dress codes and keep the party going until sunrise with a soundtrack of vaguely folk music set to driving house beats. The party can begin earlier on land in the surrounding Savamala neighborhood, where you’ll find ample opportunity to hop between bars with names like Mladost and Ludost (translation: young and crazy). The resurgent area has attracted creative office types who lunch at riverside restaurants in a renovated strip of warehouses. Toro Latin gastro bar provided a welcome break from the heavy cuisine of the Balkans, but don’t be surprised when it’s a few doors down from a vacant shell with graffiti-covered plywood. Nearby, construction has begun on the Belgrade Waterfront, a planned cluster of sleek skyscrapers filled with offices, luxury residences and bars. Already, part of a former rail yard has been turned into a riverfront promenade with playgrounds, beach volleyball court and restaurants. It might take 30 years to complete the master plan, but St. Regis and W Hotels are already slated for a 2019 debut. The city may not be so cheap for long.